I am looking for a tutorial about a jellyfish dropmelt . Is there a book about it explaining how to do this? Someone has done a tutorial, though I couldn't find it with a quick search. 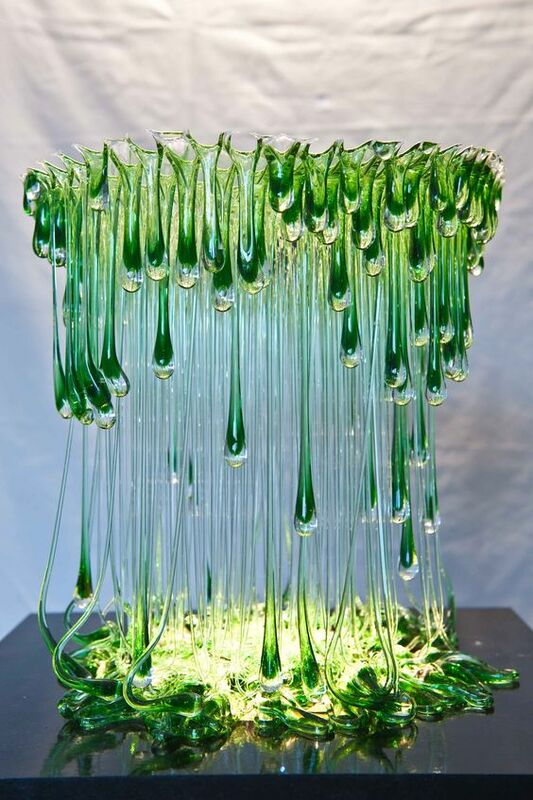 Post on Fused Glass Fanatics on FB, and someone can point you in the right direction. Some people accomplish this by using a stainless steel screen and leaving the screen in the glass, or you could do it by creating a breakaway mold of some sort -- stainless rods that are coated with kiln wash so the glass doesn't stick, plaster or fiber board mold with holes, etc. Wires wrapped around an armature. Sydney Cash did this long ago. 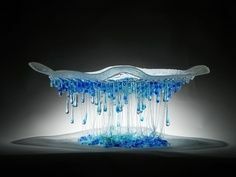 Ilooked at fused glass fanatics and found a video about it. OK, Hetty, what is the URL on how to do it?